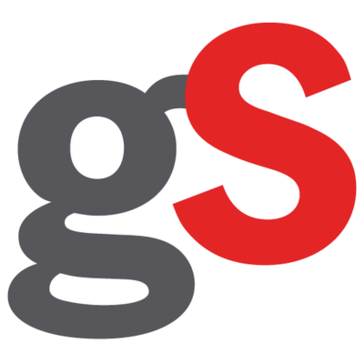 "Impeccable Customer Service and a Commitment to Innovation"
gShift provides keyword rankings and organic traffic data at a level that allows us to completely white-label the dashboards and reports for our clients for seamless integration within our brand in an easily-digestible format for our clients. With the potential for hundreds of data points and comparison metrics. gShift distills all of the possible SEO factors down to the most relevant and impacting metrics for our clients to track and follow, providing us with the tools to discuss and speak to these factors as well as assist in providing benchmarks for comparison to client competitors. Most importantly, gShift provides impeccable customer service: Our Account Manager is not only timely and responsive when we have questions and issues, but quick to pull in additional resources when necessary, including directors, support, and technicians. The gShift solution is one of the most versatile and easily-implemented SEO reporting solutions on the market today. I'm especially thrilled with gShift's commitment to becoming more user-friendly and the addition of social influencer tools. I would like to see development of API integrations with CMS platforms and analytics platforms. Ask about on-boarding multiple clients (gShift provides a custom spreadsheet to this this efficiently and quickly) and ensure you take advantage of utilizing multiple keyword clusters. We're able to provide clients with a measure of their overall share of organic traffic, related website conversions, page-specific traffic metrics (including organic traffic), keyword rankings, competitor data, and and rankings and website behavior by device type and search engine type. We've made improvements to our clients' website content based on these insights and improved the mobile website experience for our clients. I like the weekly report evaluation of each of my customer digital properties. Also I like the site audit to help better support our SEO strategies. There are many other areas that also help you like the social media and the comparison with other competition. The keyword follow is a great tool also. Now we are going after the campaign part and we hope it will be as good as the others parts of the tool. We are very exited to continue workking with Gshift. They keep improving with new offering every year. I can not single out any dislike. It is a great product and company. The only dislike for many administrator is that the reports are too big and too many technical terms for their likes so they would like a dashborad in from to tell them in just one page what is the best way to go. That will let them know rigth away the course of action. It is dificult to get to use all the diferent parts from the tool but even with small part of it you get your money woth. Use the product and try every area. Do not think everything will be automatic. You need to know what you are doing. I am solving my SEO strategy for my costumers and also a weekly report of the performance from their digital properties. Also comparing with their competition. The reports are the best looking reports. Clean, professional. My clients seem to like them. Need to know if Analytics reporting will use a Filter View. We use https://www.analytics-toolkit.com/ to filter out analytics referrer spam. A bit confusing in the admin area. Example. I choose a client > go to Web Presences > Reports (In the top menu bar) > I cant' generate a report from here unless I have a Kluster setup (I don't). If I want a report, I need to click on "Reports" in the blue area to the right. Just a bit confusing for me and when training an employee. Just think it can be fine tuned a bit. I use it in conjunction with SEMRush. It's not necessarily one or the other. Showing clients how our service benefit them! The reports help the most. Need a way to get reports on Social Media paid Advertising! If they're there, I don't see it. Facebook's Advertising reports are terrible and this would be a huge help! "Makes Content Marketing, Web Presence Reporting, Keyword Tracking a Breeze!" So much to like! Competitor analysis so easy and impressive to clients, keyword research based on actual Google Analytics and Google keyword data (to suggest their next best blog to do!) Saves hours of my life not running glitchy keyword tracking tools. I wish that the entry-level tier product allowed me to customize the report I send to my clients. It's a touch generic, and I know that it's really just a few fields that could solve this and allow me to send "Hey, here's how your site is going " reports to my clients that looked like I actually sent them. Saves tons of time vs. having my staff go hunt down ideas for next blog pieces or keyword-phrase-target-SEO work in Google Analytics and hand-tabulate that vs. how the client is doing on a certain keyword phrase. Fun to use, makes our lives more fun, bring huge benefit for the client! Like the tracking tool where we put in our activities (just don't have time to enter all that). Automated reports are great. Helps me charge more per client per month. Almost limitless in the reports and information that can be pulled. kontextURLs are something that have a great deal of promise for our applications. Helps you dig beyond Google Analytics as well as understand them. Ability to track google locations is integral for us, as we are an organization that has many locations and we need to work to ensure that we are showing up high in location searches. Can suffer a bit from analysis paralysis. You need to know what's important to you. Visuals and scores can be misleading and could be better explained. There is a great deal of information that is in the platform. Would be great to be able to simply access some features. Know the data that's relevant to you. There's almost limitless information that can be pulled from the platform. Understand what the scoring means and what a "good" score is for you - it's probably not the same as a good score for a site like Amazon. Tracking performance of our web platforms particularly on google search pages. Some tracking of our social media performance as well. KontextURLs. Has helped us get a handle on how our various pages (and there are many) are doing in their communities on google and how that relates to their (our) competitors. Providing quick and up to date feedback on how we are doing is integral as we build a new site. Client Support. the use of any product will need some hand holding at times. The gShift team consistently provides support for us in utilization of your Web Presence Optimizer SEO tool. We’ve been using the tool now for 4 years and have been happy to have been a part of its growth. BCM is especially grateful for the support and training provided by gShift for use of the service. Susan Bell, Rachel Thompson, Jeff Riddall and Krista have all been great to work with. This is a top-notch team and I would recommend the product based on support alone. Easily monitor keyword and measure impact rank across multiple accounts. "Manager, Strategy Consulting (also lead on all internal marketing / communications initiatives)"
Fantastic tool for today's digital world! The keyword function and Kurls have been invaluable in getting our firm's internal digital strategy into play. We were so behind before being introduced to Gshift. Huge competitive advantage, and we are getting closer every day to building Google authority for our firm. We love the fact that we can get hyper local metrics, competitor comparisons and the excellent reporting. As an agency we really use this tool to look like rock stars to our clients. As well as plug in keyword data to win clients during the sales process. It's a great tool, and compared to other software it's much better in both pricing and has some features that they can't even touch. Nah... not going there... we love it and the people we deal with on the G-shift team! I would recommend using this tool if you are either an agency or an end user. It gives great insights on your web presence and competition. There are all kinds of things we really love. "Outstanding Product Paired with Exceptional Client Service"
gShift brings together reporting from multiple platforms making it much easier to get an overview of performance and analyze results. It enhances our previous reporting platform by adding content analysis and making it simple for us to discover additional opportunities for our clients. The ability to segment traffic and track competition increases the value we are bring to our clients. I also have to say that the service we have received from gShift rivals any other organization we have ever worked with. Our account manager has bent over backwards to help us migrate our clients to the gShift platform. That is really an understatement. Their service has been a 20 out of 10! Nothing. There is learning curve but that is to be expected with such a comprehensive platform. You can eliminate paying for andlearning multiple reporting platforms because gShift is able to handle it all. If you don't see a feature, more than likely they are already developing it. That's how good it is! You will not be disappointed. The software is the most comprehensive out there and they continually release new features. You will not find better customer service anywhere. This solves the problem of creating monthly reports that consist of data from multiple sources, and then trying to format a report that looks professional. It also creates new marketing opportunities for our clients based on relevant, timely data, which increased client retention and client satisfaction. The wealth of information available in our digital analytics report that we offer to customers. This info can really help a business understand the success of their website and where they can work to make it better. The report itself is very dry and techy looking. Most customers are overwhelmed by it and can't understand the value they can draw from it due to lack of understanding of terms and metrics. This product is a much more in depth version of Google Analytics which can help customers who want more info than what Google offers. "After hundreds of hours of research into SEO & content marketing software, we chose gShift." As a performance focused digital marketing agency, our objective is to find as many smart technological solutions as possible to better understand what's working, what isn't and what to do next. And we need to have this across several channels that are each important to success with modern SEO. I consider gShift among the most important tools available to help as it's capable of providing both a big picture overview and the nitty gritty deeper-dive details. To properly serve our clients, comprehensive SEO, content and social analysis is a must for smart, data driven decision making. But to do it properly has traditionally been highly time intensive. What initially drove our agency toward gShift was its ability to bring together this info in one place, eliminating low-value tasks like data collection and allowing more focus to be placed on important items like generating actionable insights and workflows. 1. Measuring organic search rankings for a large number of different countries, at the national and city level. This is vital for agencies with global clients. I personally consider gShift to be an outstanding web presence analytics platform and SEO software solution, and highly recommend it. I would like link data to be as comprehensive as ahrefs, Majestic or CogntiveSEO, which is not yet the case. Reporting capability is impressive and a big time saver. The platform is also useful for extracting marketing intelligence quickly, helping our team plan work more efficiently. "Great product & service team!" I appreciate the unique insights gained through the tool, allowing me to explore keywords that have worked for competitors and track my Google page rank. I don't think I've optimized the tool fully yet, really just a question of having the time to invest into the training that is provided. Increase average page rank on Google and improve content to better align with user expectations. These problems are improving as our average page rank continues to increase. I like that you can pull in data from several sources and create one dashboard. There is not anything I dislike about the program, like all software it takes time to get used to the system and to make it do what you need it to do. With the correct training that is offered by the company - you will be able to use it with ease. Gshift is a great way to be more efficient with your time. You can review data quickly. It is worth the cost. The business problem that we are solving is providing data to our stake holders. This gives us the information all in what spot. "Hard evidence for content marketing and why SEO is important." The competitive keyword ranking reports and social media insights. I like using the Campaigns tab to follow content I've published. User experience can be a bit challenging at times, but after a few uses it becomes more clear where to go and what to do. All in one digital marketing tool. More than just reports and keyword data. Conveying the importance of good content and how it relates to SEO to small biz clients. "Tried them all, I like this one!" This product simplifies my life... everything I need is connected into one dashboard. At a glance I can see how a campaign is preforming. I like best about this product is how easy it is to setup a client's web presence and track their keywords by geographic regions. Reporting is also simple and accurate. Customer service is A+, quick responses to questions, and they have reached out to me a few times to see how I feel about their product and ask if I have any questions that they could help me with. They take feedback and make the product better! The only downfall to this product is the backlink reporting. It does not gather as many backlinks as other products. But... I have heard that they are working on this and an improvement is coming soon.. so that would solve my only dislike. Having all this information in a simple dashboard allows me to quickly view the performance of a campaign. Reporting is simple and quick. "gShift: A comprehensive web presence tool for improving business' online brand"
The massive feature set and customized support options really set this tool apart. We've experienced a few technical hiccups, but gShift support is always there to help! When implementing this tool, make sure you pick your top 3-5 priorities. The software is so robust and wide-sweeping, that it can be overwhelming. Creating dashboards and scheduled Reports in gShift can help simplify and standardize your approach. We're always striving to maximize our web presence in our industry. gShift allows us to pinpoint the keywords, backlink opportunities, and strategies that will have the most impact on our online branding. "Griffin & Black Associates review (U.K.)"
"Business Development & Marketing Manager"
gShift's knowledge of and practical approach to optimise web presence. Invoicing does not always match contract lines. Find a simpler approach to billing! Search authority & RFQ conversion. We have enjoyed a steady increase in site traffic since we began working with gShift. "The best SEO platform tracking on the market." We have been using gShift for over a year now, and by the end of this year we will be managing over 500 clients with 20 to 30 thousand keywords being tracked. Prior to gShift we have gone through a number of automated SEO softwares - some which were good but they all seemed to stop providing accurate results for how our clients were actually ranking - which forced us to manually start checking and reporting. So we were thrilled to see the fact that we can track keywords at a LOCAL level and the results were accurate. This saved us a lot of time and resources, and on top we found that gShift reports were much "better looking" than a lot of the other SEO reports we were providing to our clients. Also it was always time consuming for us to log into Facebook and take screenshots and then into YouTube and take screenshots and then into Google Analytics and take more screenshots and try to piece a report together that looked descent - gShift has the most commonly looked at data across these profiles and you can customize as to what information you want pulled into a report- again just another way this platform has saved us time. Not only is their software great for keeping our existing clients happy - but at the same time the fact we are able to now track each keyword and how it is ranking DAILY is very critical in the SEO world. With all the Google updates and changes, it is important to see if your clients have been penalized by any update. So this software allows us to quickly check to see if any of our existing clients might have been impacted by a Google algorithm change based on rank results the day (or the day after) a Google update has been made. So this has helped us close a lot of new business as well. Another aspect of the tool we like is the fact we can track competitors and look at their rankings, their backlinks and it helps us build our content market strategy, link earning strategy etc all from the data we are mining from gShift. As mentioned, we have been using gShift for over a year, and throughout this entire time they have continued to add features an agency like us can benefit from. The one feature request we are waiting for is the ability to have a search function that allows us to pull up web presences that are tracking certain keywords. The platform has saved our team enormous time, resources and costs and the fact we are using this tool to close new business based on the intelligence we are able to extract from the reports. "Gives powerful insight that helps you refine and ehance your web presence for maximum effectiveness." All your analytics in one place. Easy to use and very intuitive. Ability to compare to competitors, research keywords, track backlinks, social signals, and more. Fantastic tool for maximizing SEO and WPO. Wish it imported analytics from sharing tools like AddThis and ShareThis. Also wish there was a mobile app. But with the way they continuously improve the software, it wouldn't surprise me if both of these are already in the works. If you want a tool that can help you make sense of, and organize, web data from multiple sources (Google Analytics, Twitter, YouTube, Facebook, and more), allows you to measure yourself against your competition, helps you identify new opportunities, and make your business more 'findable' online, gShift is awesome. With gShift, we've been able to improve our search engine rankings significantly resulting in increased lead generation and brand awareness, as well as identify new opportunities for backlinks, social integration, and more. We've been able to keep a much closer eye on competitor activities and it allows us to be much more responsive in what actions we take. gShift analytics were extremely useful in the recent development of a new corporate website. The information allowed us to make significant improvements to user experience with the new site. "gShift Delivers on Data Promise"
The competitor back-link feature has cut out much of our guesswork and helped us direct our efforts to credible sources much faster. It would be helpful to have a quarterly option in the drop-down menu on the dashboard (at present there's past 7, 30 and 90 days). The learning-curve is a bit steep for those who have no experience with this type of tool. Determine whether or not if you're going to use the consulting hours that are offered in the package. If you don't have the in-house expertise for such a tool, the consulting feature is a great benefit. As a small but fast-growing company, we were concerned with developing a credible online presence right out of the gate. With gShift's analytics tools, we were able to quickly identify our biggest traffic drivers and in some cases, drivers we did not anticipate. "An Up and Coming Industry Mogul"
GShift is a tool that I use for keyword research. I can track my clients keywords and see how they interact with social factors. Additionally gShift provides training on all their products in addition to extracurricular training as I like to call it. gShift Labs is constantly adapting and evolving, which I believe will be key to their longevity and success in the SEO industry. I dislike that when I generate data, for any keywords that were above the 50th position I get empty values. Our team has spoken with them about remedying this feature. I am able to provide key insight about how the world searches for my clients and create digital marketing strategies, monitoring and reporting for clients. "One of the Best SEO Keyword Analytics Products"
We are want a system that can help us track work on our clients per team member. gShift is helping us discover this at the moment, so it is just a temporary complaint that is being fixed. I highly recommend it If you need automated reporting, keyword analytics, local SEO analytics and research applied to your campaigns. We have solved our automated reporting system requirements with gShift. Additionally we have discovered benefits of utilizing the software to shape the strategy of our SEO campaigns. "Excellent Software for the New SEO World! " The integration of social signals is the most helpful part of their whole system. Also, I like the Off-Page tracking! Keyword research at the start is pretty much non-existent. You basically have to already know what keywords to want to use to get started and have analytics and webmaster tools setup. So, you can't really use it for sales or audits at all. Also, there's no website auditor to speak of, you have to pick specific pages and then you get very generic how-to's, but nothing of any real value. So, you have to be a PRO already, this system is not for beginners. Tough to say, we just started and while we love the ease of the reports, they aren't really customizable. But, we do get a full web presence report of website and all social media - so they've done good, not great. "Professional Customer Reporting and Robust Information on Site Optimisation"
The information available to present a client monthly report. Once set-up it is so quick to download a report for customers that looks professional. Great for tracking ranking positions. There is nothing I particularly dislike but more that I am still not utilizing the tool to its full. It would be good if the report flagged up broken links. Why a competitor site that has no SEO activity is ranking better for same target key phrases. GShift tracks conversions so able to see what is converting on the site and make changes to pages that aren't converting. Use the advice offered to make relevant changes to client website. "360° Web Reporting in a handsome package"
I like the ease in which I can customize the reports for each web presence. I particularly like the way the reports are boiled down to only the most useful and actionable information…with additional data that I don’t have to display if it is less useful to the client than it is to me and my team. The platform is constantly evolving with more and more useful features. I think actual step-by-step manuals would be very helpful. We generate Internet based leads for our clients. That requires ongoing keyword research and close monitoring. I like that I can leverage this platform as a one-stop-shop. "I have been using Gshift for 2 years now, and I use it to follow my client web sites health"
"Our SEO Solution of Choice"
The competitive ranking reports and the UX design of the dashboard. There is a lot of data in the dashboard - not really a bad thing. We are a Creative Brand Strategy Agency - gShift is one of our partners that allows us to put together turn-key marketing solutions from clients while allowing us to stay experts in what we do best - Branding. "Social and SEO data in one place"
I don't have to login to several services to figure out what is going on anymore. The interface has a lot thrown at you at once. It can be a bit confusing sometimes. Trying to increase our inbound leads. "gShift Web Presence Optimizer Platform "
The flexibility of the platform features and customized reporting for all levels of clients. Platform Support and Client Success teams are very knowledgeable and accessible. I have not found any major concerns or challenges with the platform. An easy to work with local search platform that is scalable enough to accommodate most businesses. White labelled feature allowed for a quick time to market. Its easy to use, smooth reporting and good keyword tools. Task management. It should be more user friendly. Contact them and they will find a good solution for you. Our main goal is client web presence optimisation. That means we need to plan and create content, following with analysing whats working and whats not. This tool is great to use for this. "All in one SEO and content marketing dashboard"
Comprehensive, powerful, evolving, leading edge and easy to use. It helps us be better digital marketers and use real time insight to help our clients. "Happy user, happy marketing manager"
Impressive Organic SEO improvement in only one year. * We monitor all gShift reviews to prevent fraudulent reviews and keep review quality high. We do not post reviews by company employees or direct competitors. Validated reviews require the user to submit a screenshot of the product containing their user ID, in order to verify a user is an actual user of the product. Hi there! Are you looking to implement a solution like gShift?